There are lots of dog lovers clubs in the US that offer a lot more for both the dog lovers and their dogs. Here are some of them. 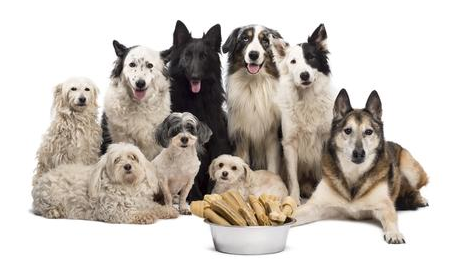 The American Kennel Club has a dog lovers sections called “For the Love of the Purebred Dog”. This article is more than a canine purebred section. It is dedicated to living at home with dogs. This dog club gives informative and educational materials pertaining to pet care, training, nutrition and a lot more. It also includes funny stories, art, pet history and the more popular Companion Animal Recovery method. There are also more popular sites like the dog breeds and events page. The American Mixed Breed Obedience Registration or (AMBOR) on the other hand was created in 1983 with the objective of taking into accounts the perseverance and accolades in obedience contests of mix breed dogs and handlers. This dog lovers club also gives support and inspiration to dog handlers. Unlimited full membership is open to handlers and owners of mixed-breed dogs as long as the pet is spayed and nails are cut. There should be front and side photo shots of the dog that will be included in the application. This is the ticket to all the obedience and agility programs, automatic tabulation in the agility and obedience nationwide ranking system. This also includes a given eligibility for the annual awards. This achievement will be given honor in AMBOR highlights (AMBOR’S newsletter) and on the website. The member will be eligible to any agility and obedience national competition in the future. Dogs with assigned numbers are marked as purebred and should be enlisted as a purebred. Also, dogs that are listed as mixed-breeds that are given a number based on the owner’s application causes its membership to be changed to a status of a purebred. Purebred dogs can be listed with AMBOR with a rule that entry is limited to the AMBOR-supported agility program. All dogs that are purebred, listed with AMBOR and exhibits AMBOR-supported programs on agility will have competition points monitored and there will be an automatic issuance of certificates. Dogs that are purebred and listed with AMBOR are not qualified to be a part of the agility and obedience scoring systems. They will also not be included in the website on highlights and not qualified for any mixed-breeds national competition in the future. Handlers that register to the AMBOR-supported trials on agility should put their AMBOR number on the form at the club’s entrance so that competition points will be monitored. 1 Response to "Basic Principles In A Dog Lovers Club"